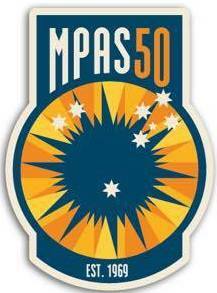 Aim of this exercise: To have GPS support that provides the Losmandy Gemini GPS information upon start-up. This is a simple advice to those, who like me, have been challenged marrying a handheld GPS device to the Losmandy Gemini System. It is important to note, there are commercially available alternatives that provide a dedicated solution. In my case, I purchase the Garmin eTrex, and the Garmin serial adaptor for the eTrex to ensure a good connection to the handheld device. The price of these two items (at the time of writing: Oct 2009), was about AUD$150.00. You will also need a new RS232 9 pin serial plug (male end). 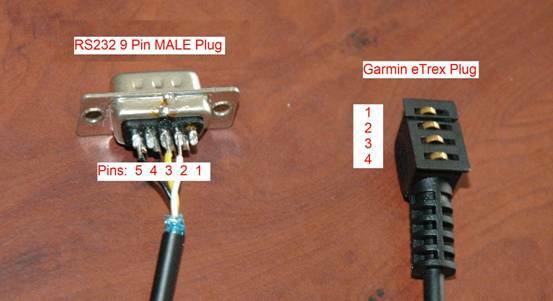 In regard to the Garmin serial adaptor, there are instructions on the web on how to make the special adaptor yourself, so just have a Google search to find one of the alternatives. This instruction also assumes that you have the PC serial connector cable for the Gemini [see below...], that you can strip and solder cables, and perhaps have a multimeter to check your wire connections. The serial adaptor for the Garmin eTrex has at one end the specialised connector to connect to the eTrex [see image C below], and the other end, a 9 pin RS232 serial plug. To start off, you'll need to cut off the serial plug, leaving the majority of cable with the specialised eTrex plug. Clean and strip the cables for soldering to the serial plug – there are THREE (3) cables in the adaptor. Next, you must finish off your cable by installing the cover over the serial plug end. Last thing to do, set up your eTrex to transmit in "TEXT OUT" at a serial port speed 4800 via the "Setup" menu, then "Interface" option. Next make sure the Gemini also communicates via its serial port at 4800. And you are finished! Now you can connect your eTrex to your new adaptor cable, then the new cable to the standard Gemini PC serial cable, and then the PC serial cable into the Gemini. 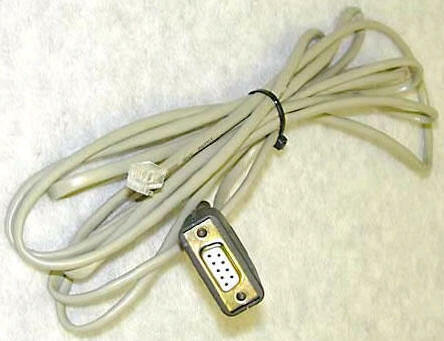 Instructions on how to make the Gemini PC serial cable can be found in the Gemini L4 manual.